Security screens, shutters and blinds are an essential part of Australian living. From keeping unwanted insects and intruders out, to ensuring your family is enjoying the safety and comfort of your own home, our products make sense for so many different reasons. Problem is, as the demand for plantation shutters, outdoor roller blinds and screens increases, we’ve seen many new installation companies arriving on the scene, promising customers the world—and more often than not, failing to deliver. But that’s where SP Screens is different. About making people feel safe, secure and comfortable in their own homes. SP Screens is a dynamic, fast growing screen, shutter and blind company with branches in many locations around Australia. 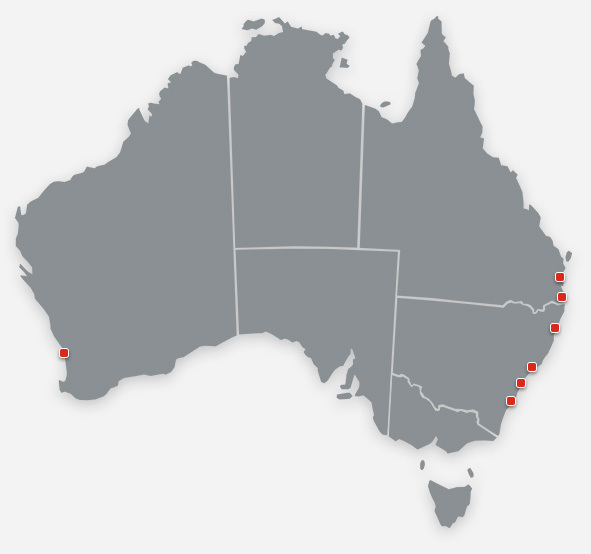 We currently service the east coast of NSW, from Brisbane to Wollongong as well as Perth. Our local teams in each area provide friendly, knowledgeable local service backed by our quality products with industry leading warranties. At SP Screens we understand that our reputation is defined by our success, which is why we only work with the industry’s most reputable brands like SecureView Eclipx and Xceed. We only want to be associated with the very best products available on the market. Whether you are after security screens to resist any physical attack from an intruder or insect, or Plantation Shutters to dress your windows, our modern designs will blend effortlessly into any façade, they look great in any home too. In short, we want all our customers to enjoy ultimate peace of mind, without compromising on the quality of product that they choose. And it’s a philosophy that clearly works. Since we started we’ve helped thousands of homeowners, businesses and organisations in making their special place a beautiful and safe place to be. With access to an unsurpassed range of leading products and brands. We don’t see you as just another number, but a real customer with unique security needs. Because of the strong relationships we have built with the industry’s leading vendors, we are able to offer our products at a great price. Giving you additional reassurance with an 11-year warranty on all SecureView Eclipx products and a 7-year warranty on all Xceed products.